Undaunted by a ball hurtling towards his unprotected face at 90mph, Brian Close was known as the ‘bravest man’ in cricket. The Yorkshire captain was also partial to a glass of Scotch, with whisky occasionally contributing to his ballsy reputation. Iain Russell tells his story. 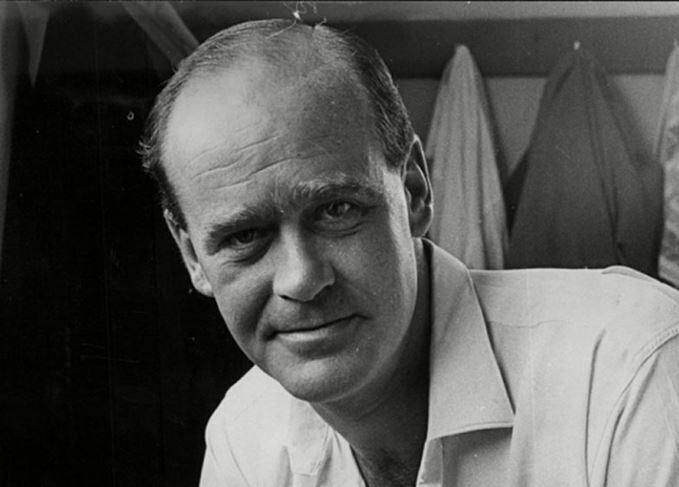 Ian Botham said that Brian Close (1931-2015) was ‘the bravest man I ever played with’. The Daily Telegraph went even further, declaring him ‘the bravest man to ever play cricket’. Even in these days of sporting hyperbole, no one could doubt Close’s courage. He was also a magnificently talented and ultra-competitive sportsman, a great man-manager, and an almost stereotypically stubborn and argumentative Yorkshireman. As a youngster, Close had a talent for maths and could have gone to university. He might also have become a professional footballer with Leeds United, Arsenal or Bradford City. He chose to play cricket, however, and made his debut for Yorkshire Cricket Club’s first XI in 1949. He became the youngest cricketer ever to be picked for England, at the age of 18, when he was selected to play against the touring New Zealanders later that year. Close was appointed Yorkshire’s captain in 1952, and led them to four county championships before being controversially sacked. He won 28 caps for England, but his career was dogged by controversy and he was dropped on several occasions. After being unfairly blamed for the defeat by Australia in 1961, Close was recalled in 1963. He bravely took the game to the West Indies’ fast bowlers at Lord’s and was struck many times as he advanced down the pitch. Yet, having quite literally ‘put his body on the line’ for his country, the hero was dropped again in 1967 after claims that he had deliberately slowed Yorkshire’s bowling to win a county match against Warwickshire. Close was a very good batsman and bowler, but he was also famous for his fielding. In the days before padding and helmets, he would take up his place at short leg, just a few feet away from the batsman, and intimidate him with his aggressive forward posture and a fierce glare. Some were unnerved and ‘bullied’ into playing rash shots. Others, however, struck out fiercely and Close was hit many times on the shins, chest and head. He never flinched. Yorkshire sacked Close in 1970, for reasons which seem more to do with internal club politics than sporting considerations. The 39-year-old was devastated, but signed up to end his career at then lowly Somerset. He became captain there in 1971 and, with another old stager, Tom Cartwright, nurtured the precocious talents of young players such as Ian Botham and Viv Richards. The veteran’s eccentricities became the stuff of legend during this latter part of his career. One involved his drinking habits. Close wrote in his autobiography: ‘My favourite drink when I am really thirsty is a cup of tea – well, a pot of tea. One cup is just an appetiser!’ He drank endless cuppas through the day and night. Ian Botham told how the captain would happily smoke cigarettes, read The Sporting Life and drink tea from his flask – all at the same time – while driving at speed around the country. Terrified passengers were sometimes asked to hold the steering wheel while he changed the channel on his portable radio. So what part did whisky play in the hectic life of Brian Close? Well, Close first discovered Scotch on an England tour of Pakistan in 1955-56. He never looked back after that, and Glenmorangie was to become his favourite. But, while Scotch was favoured for moments of after-match reflection, it also features prominently in two stories that reveal Close in all his brave, slightly bonkers glory. The first occurred in 1971, while batting in a Sunday League match at Torquay. Close got a top edge and played the ball on to his mouth, knocking out four teeth. He was taken to the dressing room, where his bloody wounds were tended with wet towels and the pain was numbed with a succession of large whiskies. A dentist inserted 30 stitches in his mouth next morning. Close then turned up at the crease at Taunton to face Surrey in the County Championship. Still groggy from the pain and loss of blood, and perhaps slightly hung over from self-anaesthetising himself with so many Scotches, he scored a century. The 45-year-old Close and fellow veteran John Edrich were selected as England’s opening batsmen in the second innings of the final test against the tourists at Old Trafford. They were instructed to hold out for the final 80 minutes of the third day’s play against the mighty West Indies attack of Michael Holding, Andy Roberts and Wayne Daniel, on a treacherous, bone-dry wicket. Close bore the brunt of the onslaught, facing a fearsome barrage of bouncers bowled at up to 90mph. The balls reared up unpredictably, battering his unpadded torso and whistling past his un-helmeted head. The spectators watched horrified, especially when a vicious delivery only narrowly missed his forehead. After stumps, he returned exhausted to the dressing room, noting grimly that he’d endured all that punishment to score just a single run. According to the journalist Martin Williamson, the team physiotherapist took one look at his cuts and bruises and suggested he go to hospital. The academic and cultural commentator was also an influential writer about Scotch whisky. The baseball legend was famed for his home runs – and his formidable off-field appetites. The American writer and poet had a lasting, but devastating, love for Scotch whisky. America’s first great TV star sure loved his food, cigarettes and, of course, Scotch whisky. The story of one of the great actors of Hollywood’s golden age – and his love of Scotch.